In this Sept. 9, 2015, file photo, a United Airlines jet lands at Newark Liberty International Airport in Newark, New Jersey. The U.S. Department of Transportation announced Tuesday, March 20, 2018, it is awarding United Airlines a federally-subsidized contract to serve Northern Maine Regional Airport in Presque Isle with flights to Newark. 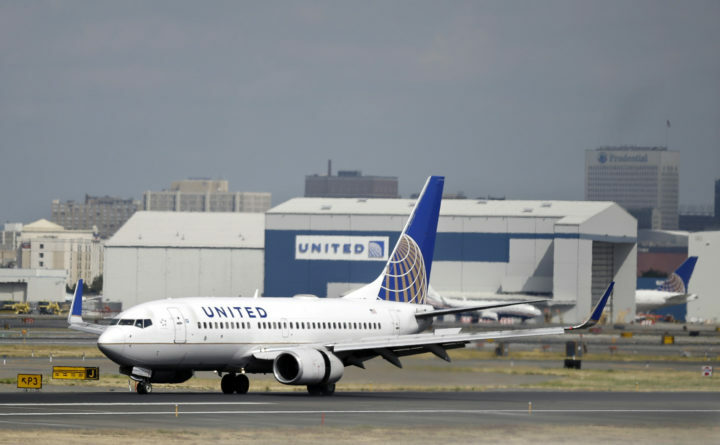 PRESQUE ISLE, Maine — The U.S. Department of Transportation is awarding United Airlines a federally-subsidized contract to serve Northern Maine Regional Airport with flights to Newark. Starting this July, United will provide 12 round-trip flights per week between Presque Isle and Newark Liberty International Airport with a 50-seat jet, replacing that Boston-Presque Isle service that PenAir has provided since 2012. The U.S. DOT announced its decision late Tuesday and explained its justification for choosing United out of six bids to serve Northern Maine Regional Airport under the Essential Air Service program. The EAS program subsidizes air service in 173 rural communities and the agency said it considers five factors in its contract decisions: reliability, marketing arrangements with a large hub, interline agreements with a large carrier at the hub, local marketing plans, and views of the local community. “The primary objective of the EAS program is to provide a safety-net level of air service to connect communities to the larger, national air transportation system through a large- or medium-hub airport,” DOT officials wrote in the decision. The majority of the city council and advisory committee supported the United bid in an effort to better connect Presque Isle with the national airport system. “Our market research clearly showed that New York is the second largest destination with Orlando being number one,” city manager Martin Puckett wrote to the U.S. DOT in January. Another aspect of the decision concerned federal subsidy amounts. United’s bid for the contract will come with an annual subsidy of $4.7 million, the lowest of all six bids. The company’s bid estimates garnering more than 31,000 annual round-trip passengers, with one way fares starting at $143. PenAir’s current subsidy amounts to $5.2 million annually, and for the next contract PenAir sought an annual subsidy of more than $6 million. PenAir estimated garnering 28,710 round-trip passengers with one way fares starting at $117. Air service at the Northern Maine Regional Airport has been subsidized under the EAS program since 2001, first by now-defunct Colgan Air and since 2012 by PenAir. In a press release from the city of Presque Isle, Wardwell said that the contract with United is Aroostook County’s “largest air service development in a generation.” It’ll be the first time since 1978 that the Northern Maine Regional Airport has been served by a jet, Wardwell said. PenAir currently flies a 33-seat Saab 340 twin-engine turboprop aircraft out of Presque Isle. United also currently operates direct flights to Newark from Bangor. When its new service starts in July, the company’s flights will be scheduled to depart daily from Presque Isle at 6 a.m. and arrive in Newark at 8:05 a.m.
Daily return flights will be scheduled to leave Newark at 10 p.m. and arrive in Presque Isle shortly after midnight. Mondays through Fridays, United also will operate flights from Newark to Presque Isle leaving at 9 a.m. and from Presque Isle to Newark leaving at noon. Chicago-based United Airlines has not yet commented on the decision. PenAir officials said they were thankful for the support of communities and area residents who rallied behind them, but not surprised that they were starting to face competition from a large airline. “It’s not surprising that another carrier would see what we have built and want a piece of it,” said PenAir senior vice president Murphy Forner in a news release. PenAir also submitted bids to continue serving Plattsburgh, New York and Bar Harbor (for summer-only service) with flights to Boston. The DOT ended up spurning PenAir for all three locations, selecting Skywest for Plattsburgh and asking for new bids for Bar Harbor. PenAir has held the contract serving those three communities since 2012, when Colgan Air went out of business. News of the decision has been met with mixed reaction in Aroostook County. Some are welcoming the opportunities of the new connection and others are seeing the decision as a mistake that could jeopardize the airport’s viability and create hardships for people who travel to Boston for specialized medical treatment. In its letter to the U.S. DOT, Presque Isle officials said that the Newark destination would still allow travellers to fly to Boston in the same day through connecting flights. But a multi-leg trip by flight or by bus “would be difficult” for cancer patients, said Patty Corriveau of Caribou, whose husband and son-in-law receive cancer treatment at Dana Farber Cancer Center in Boston. Corriveau’s husband David has been participating in a clinical trial at Dana Farber for non-Hodgkin’s lymphoma and currently is “in a good place health wise,” Corriveau said. Aside from driving, other options for travelling to Boston from northern Maine include catching a flight from Augusta to Boston or bus service, via Cyr Bus Lines and Concord Coach.